Miami, Fla. – Crossman & Company welcomes Rodney Langer to their Investment Sales Team in Miami, where he will provide acquisition and disposition services to owners of shopping centers and net leased assets. Mr. Langer joins Crossman & Company with 27 years of experience in commercial real estate brokerage & asset management. Prior to joining Crossman & Company, he served as president of Investors CRE, Inc., a commercial real estate investment advisory firm in Coral Gables, Florida. “Rodney brings an exceptional skill set and breadth of experience to Crossman & Company,” said Dan Colachicco, Director of Investment Sales. “He has an extraordinary track record of providing advisory and marketing services to a wide range of discerning clients, both private and institutional”. “We are excited to have Rodney join Crossman & Company’s Miami Investment Sales Team. He exemplifies the level of experience, integrity and commitment to service that our firm has built its reputation on for the past 25 years,” said Crossman & Company President, John Crossman. A 2015 recipient of the Greater Miami Chamber of Commerce’s Real Estate Achievers & Leaders Award, Mr. Langer is active in the local community as a member of several organizations including the Rotary Club of Coral Gables and the Board of Realtors – Realtors Commercial Alliance. 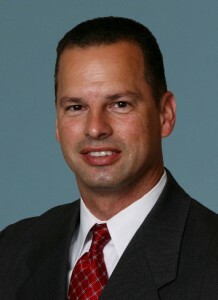 He is a Miami native and a graduate of the Leadership Miami program. “I am honored to have been chosen to spearhead Crossman & Company’s Investment Sales efforts in Miami, and I look forward to expanding the company’s Investment Sales services to both my existing clients as well as future clients” Mr. Langer said. Crossman & Company is the premier real estate firm focused on serving retail landlords exclusively throughout the Southeast – with offices in Atlanta, Boca Raton, Orlando and Tampa – representing more than 250 shopping centers totaling 21.5 million square feet in Florida, Georgia, Alabama, Tennessee, South Carolina and North Carolina. The company was founded in 1990 with the goal of providing exemplary service to our clients around four core values: Maintain enthusiastically satisfied clients; Demonstrate servant leadership; Practice kindness, openness and humility; and Develop new talent. For more information, visit the company’s website at www.crossmanco.com.